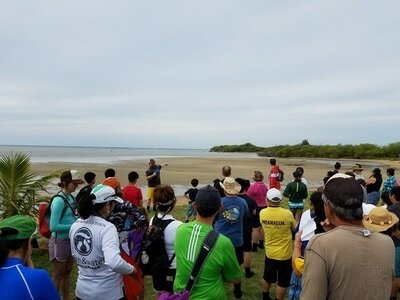 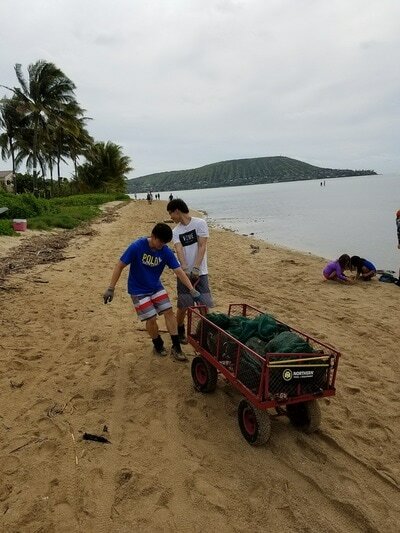 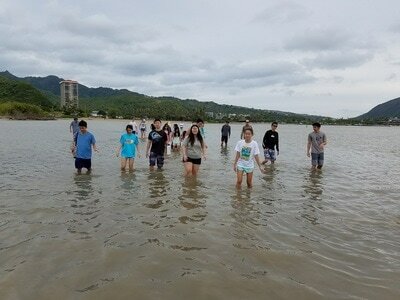 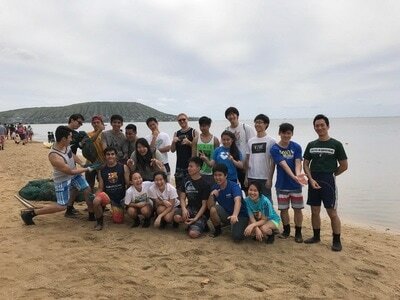 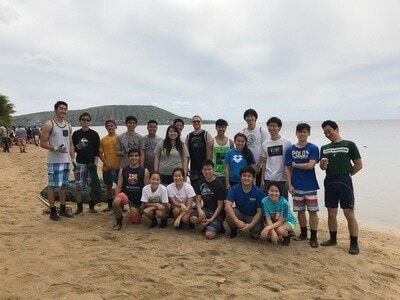 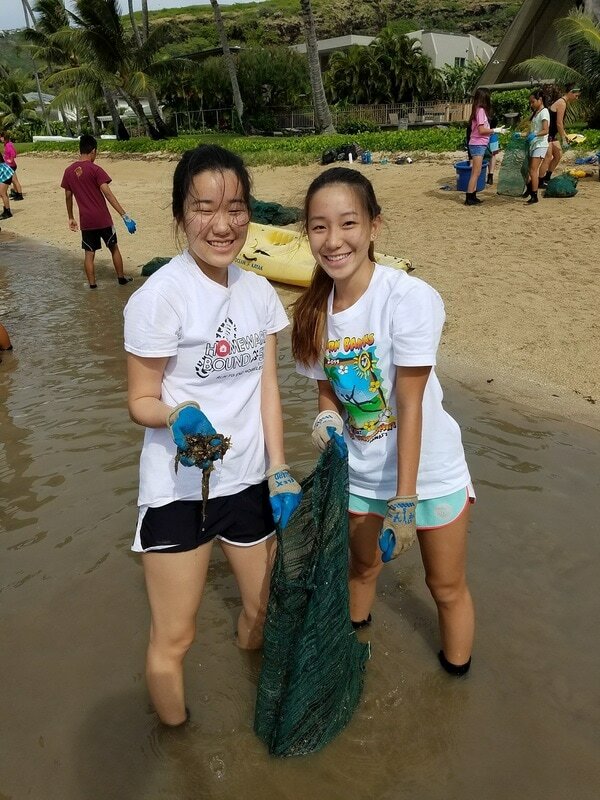 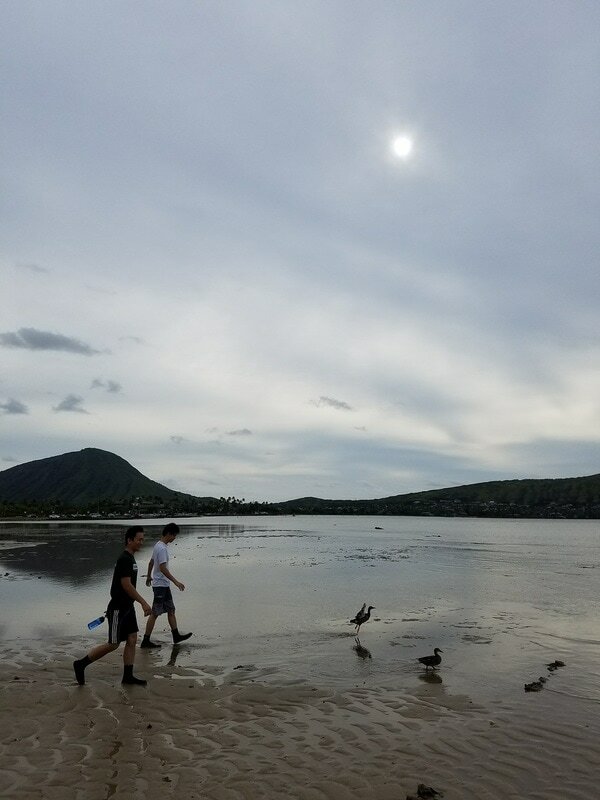 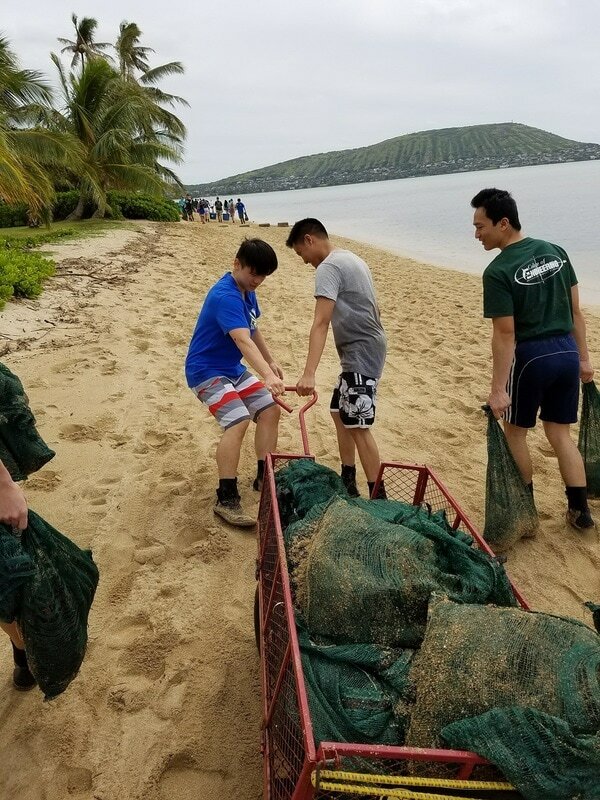 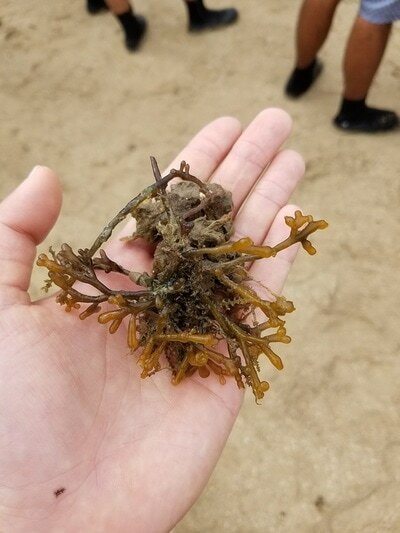 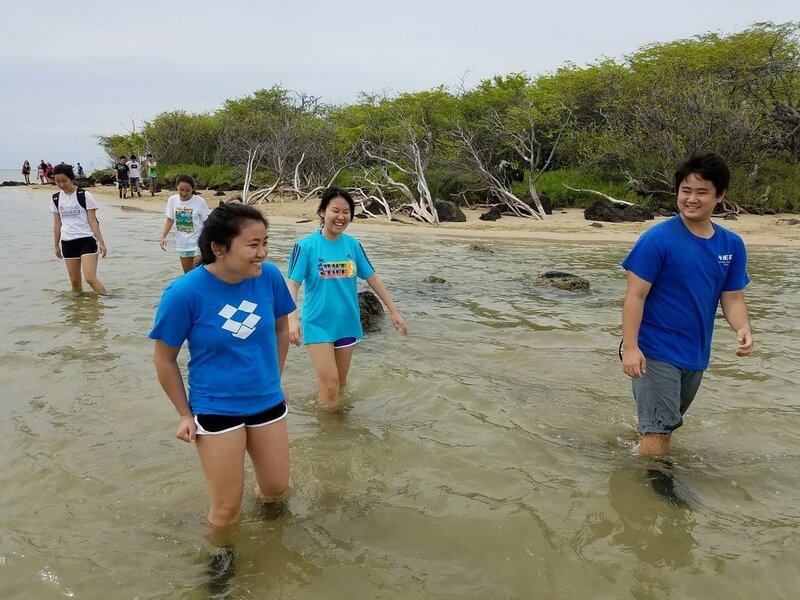 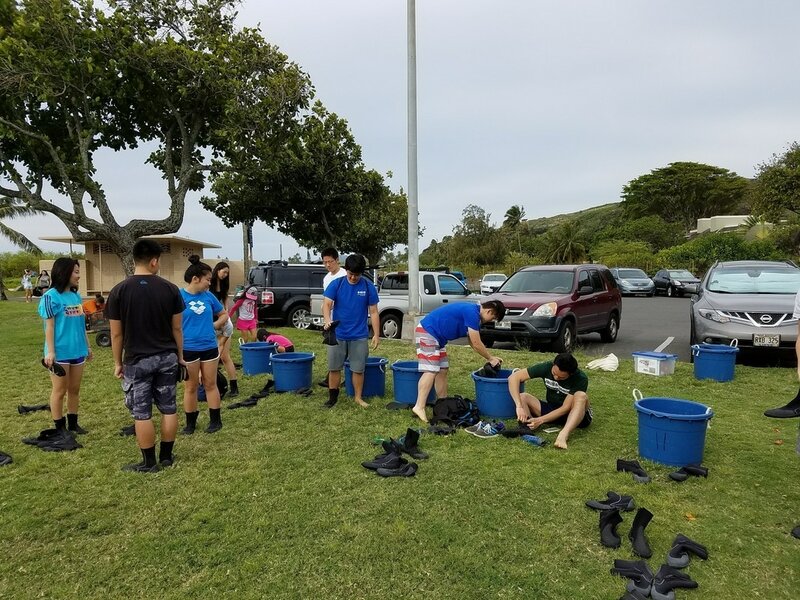 On February 25, 2017, HKN participated in the Maunalua Bay cleanup organized by Mālama Maunalua, a non-profit organization committed to restoring the health of Maunalua Bay. 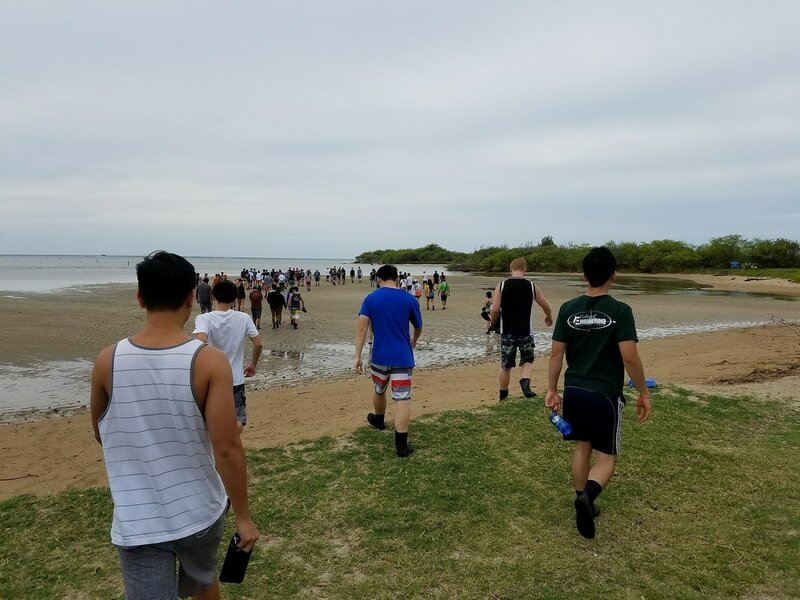 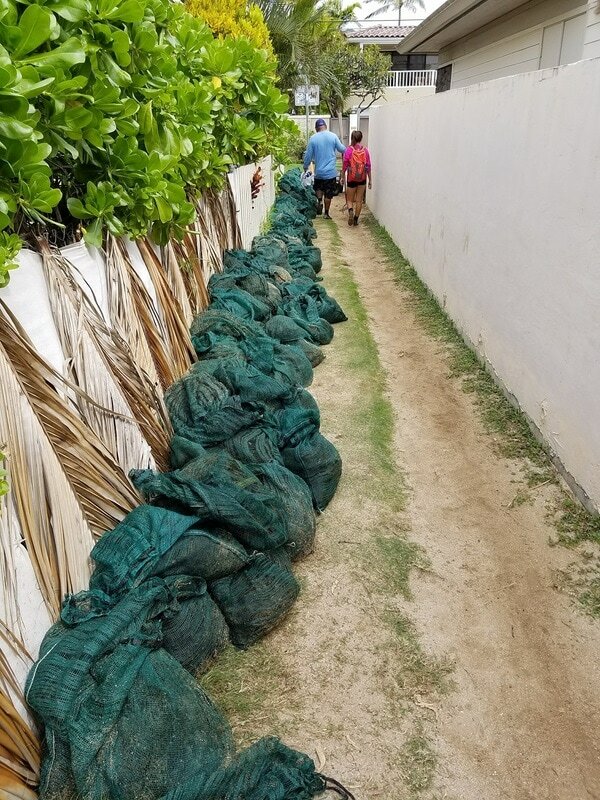 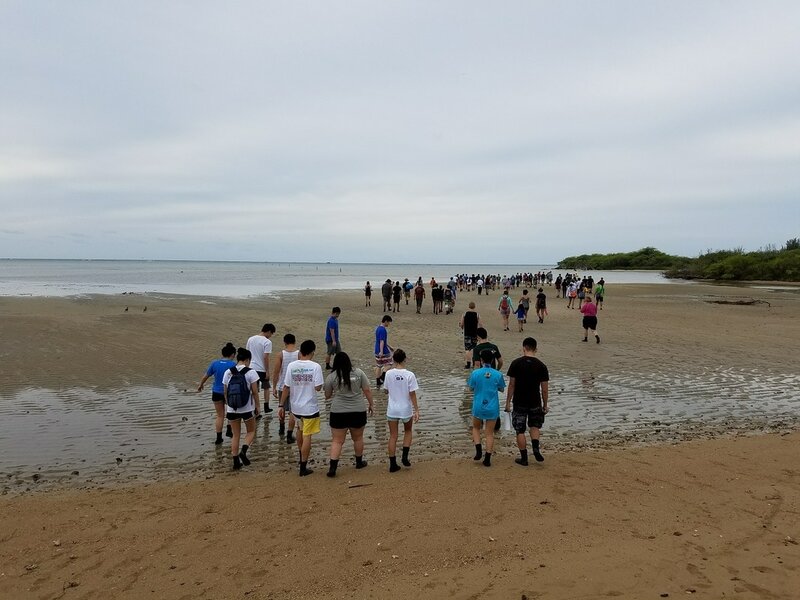 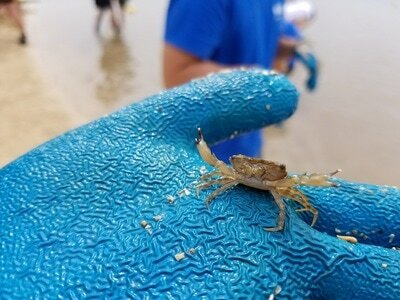 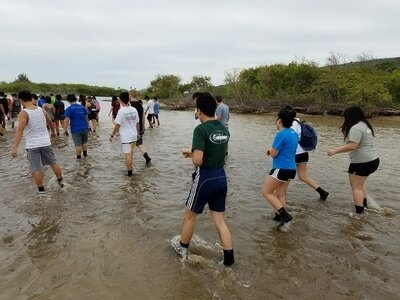 We, along with dozens of other volunteers, waded through the ocean and trekked on the sand until we reached the designated cleanup location. 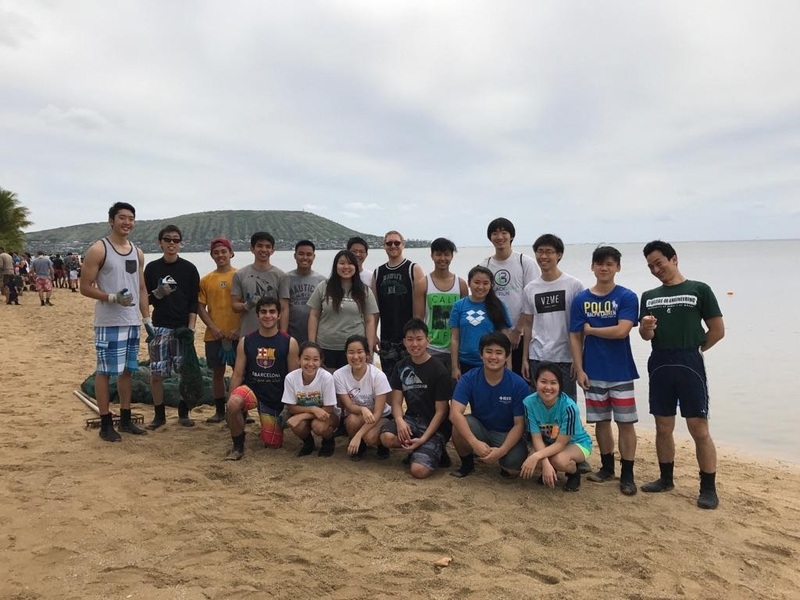 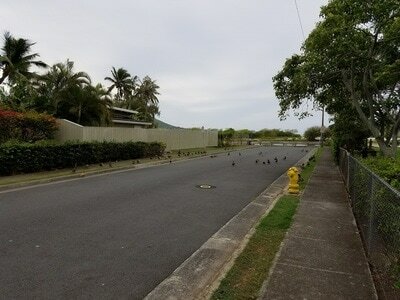 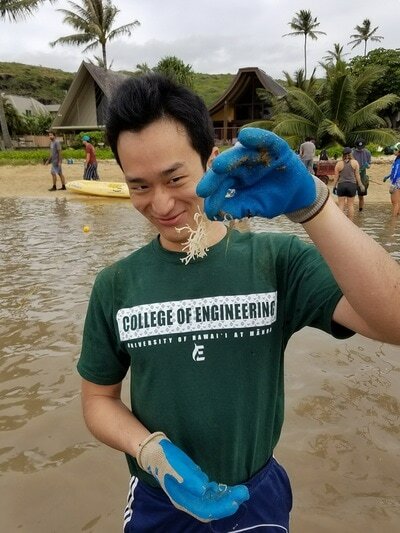 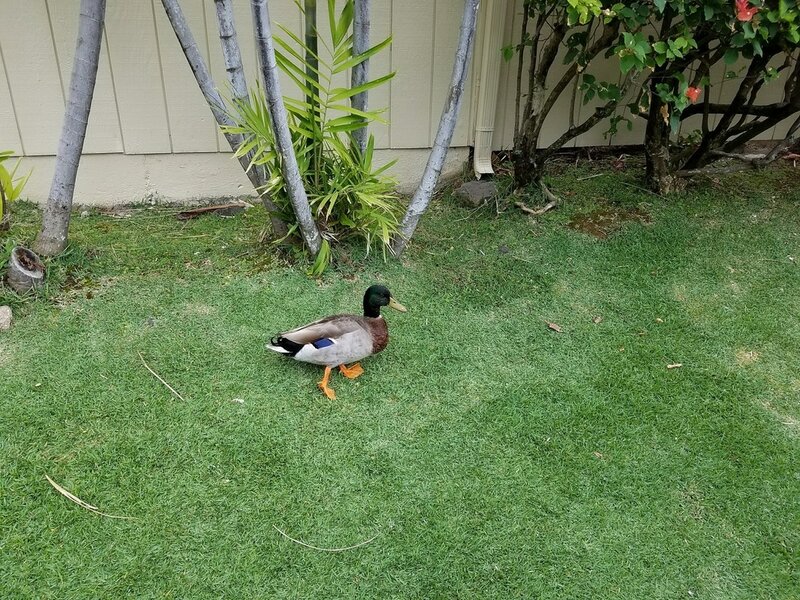 Students were informed that the cleanup had two purposes: (1) to remove invasive species of plants and (2) to conduct a research study on the growth rate of these invasive species. Once taught how to identify invasive species, we began filling up bags with ~20 pounds of invasive species each We also loaded several bags on carts or carried them by hand to a truck pickup location. 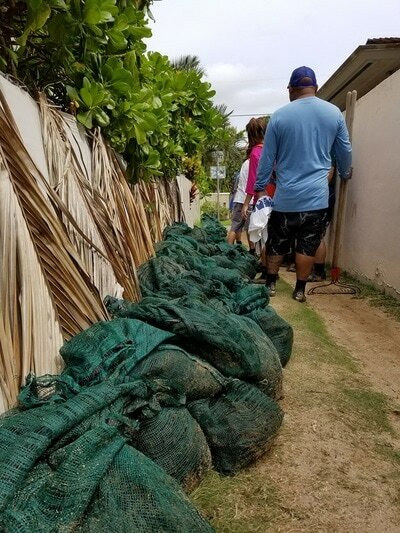 By the end of the cleanup, we had removed ~3,000 pounds of invasive plants, which we were told could serve useful purposes e.g. 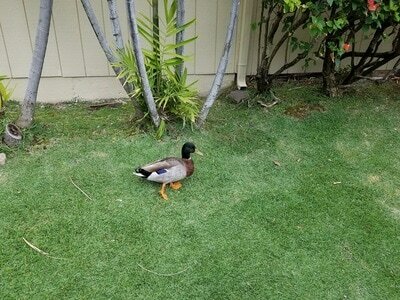 as fertilizer. It was shocking that we, as a relatively small group, were able to transport ~1.5 tons from the ocean to a pickup location.